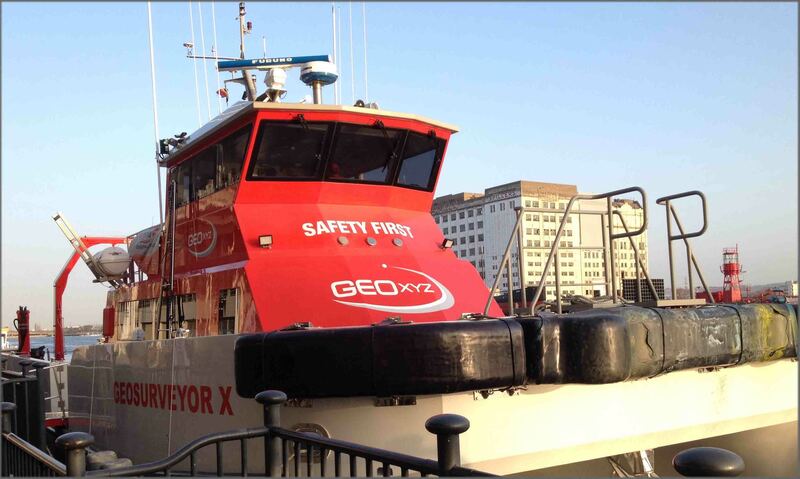 Ahead of the launch of their new business "Storm Geomarine" MD Mike Hopkins visited the huge show Oceanology International at London's Excel. The exhibition broke all records as it saw the largest attendance in its series with approximately 8400 people attending. There were 528 exhibiting companies displaying a variety of marine technologies that are deployed in the many industries that now operate at sea. PhotoMapp is a "must have" app for the iPhone. It creates working documents of your experiences with the minimum of effort. 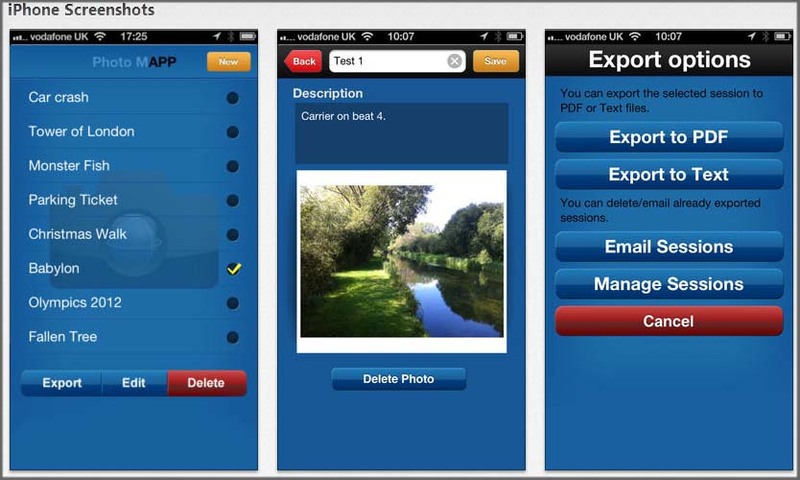 The vision with PhotoMapp is that we can use this mobile phone app to help us with our work by organising maps, images and notes all in one place to create an informative document of our subject. 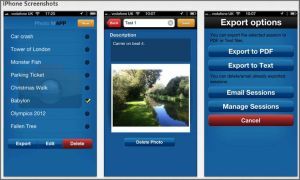 Having released PhotoMapp it appears that it is being used for many other applications as people want to share their location and thoughts as well as their pictures. Wath this space on PhotoMapp - it is being developed further to appeal to the global market. 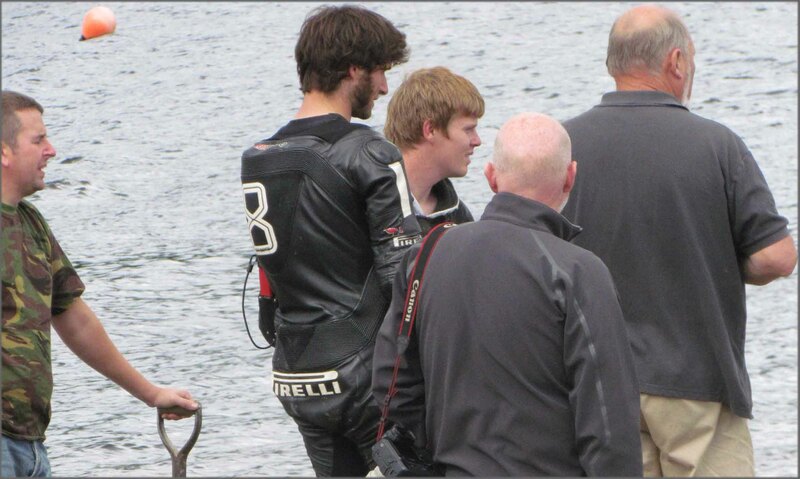 Mike Hopkins spent two days at Lake Bala in North Wales back in the Autumn, he was preparing to measure Guy Martin's world record attempt to be the man that has ridden a motorbike on water the furthest. 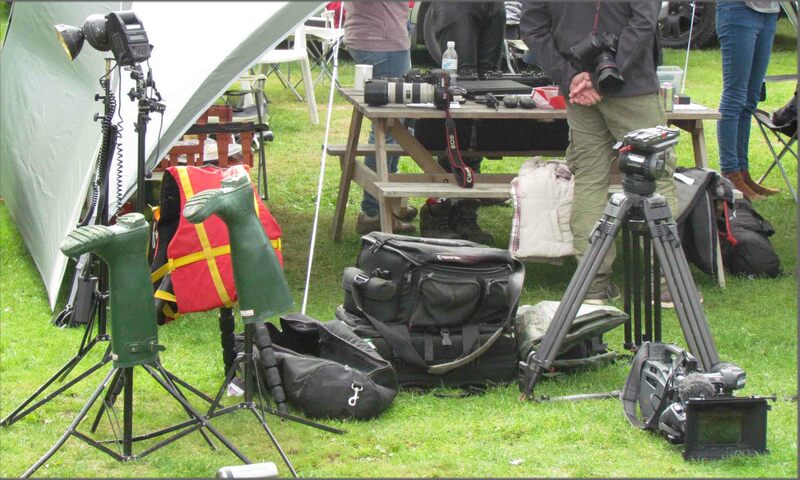 The whole build up and attempt was shown on Channel 4's "Speed" on 5th January with Mike featuring in the program on a number of occasions, sometimes in picture and others the spoken word! Guy Martin, the infamous Isle of Man TT racer, TV personality, lorry mechanic, tea junkie and extreme dare devil will try and set a new world record and ride his motorbike across Lake Bala in North Wales on your TV on Sunday 5th January at 8:00pm (CH4). Guy Martin and the production company North One Television have created a four part TV series called "Speed". The series has a scientific slant but is clearly an excuse to push even more adrenaline through Guy's veins. Storm Geomatics surveyors have been working in and around the nuclear power plant at Sizewell, Suffolk. Surveyors were given a brief to survey a variety of water boreholes, piezometers and open channel cross sections in the vicinity of the site. This was a tough job for many reasons - access being the main one. Working on nuclear power plants can be extremely dangerous and our surveyors attended a two day course to learn about all safety elements. 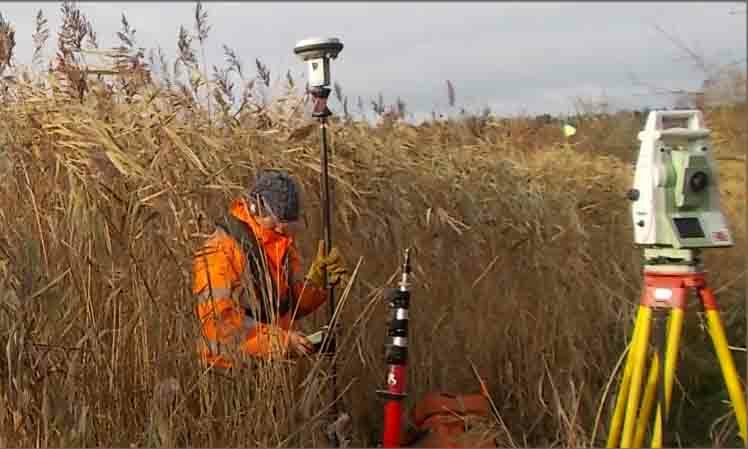 Once on site regular safety audits were made whilst the surveyors battled the marshy terrain to reach the required survey locations. Our surveyors proved once again that they can get through the toughest of tasks! 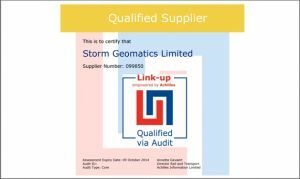 After months of preparation, consultations and re-organisation Storm Geomatics have attained the very distinctive Achilles Linkup membership. An audit of the company procedures, management systems and health & safety was performed in October and revealed only a few small gaps in the robust systems that Storm Geomatics operate under. 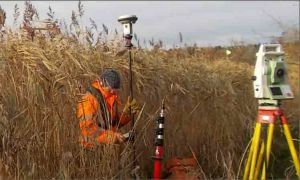 The gaps were filled by appointing a specialist advisor from the rail industry to oversee all Storm Geomatics rail management systems for the next twelve months. 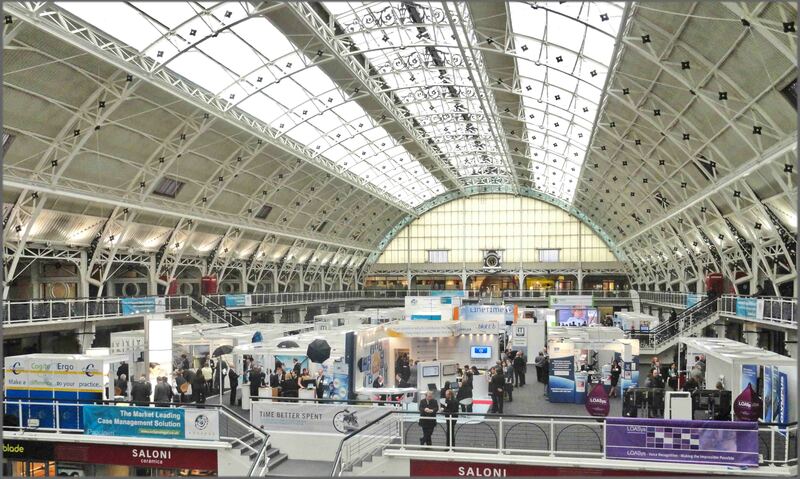 Geo Business is the new major geospatial event for our industry which is supported by CICES, TSA and RICS. 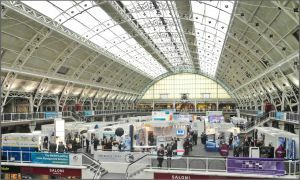 All major players within the geospatial community will be at the event, whether exhibiting, presenting, demonstrating or just attending. Mike Hopkins - Managing Director of Storm Geomatics has been invited on the technical conference committee to assess papers submitted for presentation at the event. Opening big parcels containing the very latest surveying equipment is like getting in your new car and starting it up for the first time. 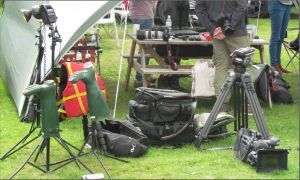 Storm Geomatics are only the third buyer in the UK of the new Leica MS50 Multi Station. The Multi Station combines speed with accuracy and can be used as a total station or a laser scanner. The laser scanner is regarded as one of the "cleanest" in the business and records data at up to 1000 points per second. The promotional video is pretty awesome, take a few moments to have a look at it here. 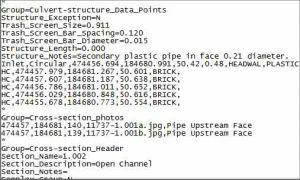 Storm Geomatics are supplying the data rich format EACSD v3.2. 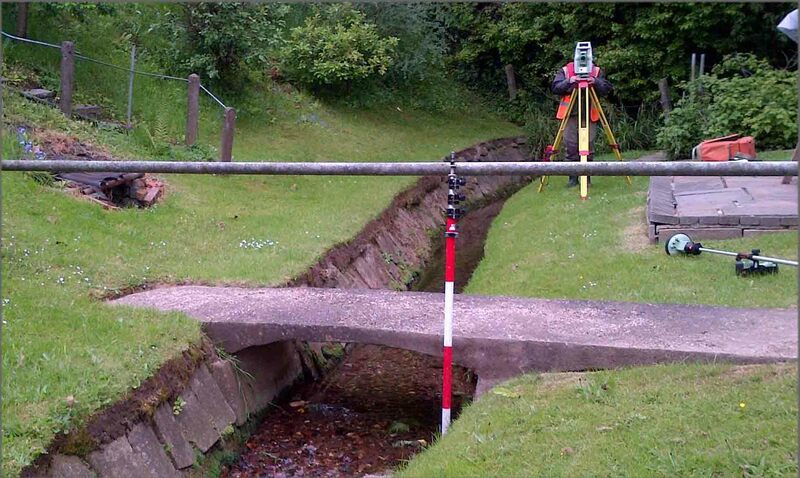 The format is now a required deliverable when conforming to The Environment Agency Specification for Surveying Services v3.2. 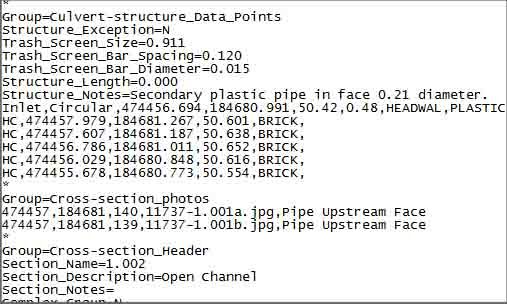 The text format has been designed by the Environment Agency to enable river modellers to receive more detailed information about river channels and their structures within the river model data that they import into their systems from surveyors. 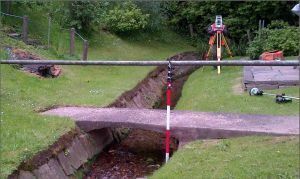 Storm Geomatics were very pleased to be asked to provide detailed river channel surveys across three catchments in the Midlands. The river surveys ranged from small brooks to medium sized rivers and were located in areas close to Tewkesbury, Nottingham and Burton-on-Trent. By using multiple survey crews and a system of staged delivery, Storm was able to deliver to the client requirements on time and within the fixed fee.